John Rabidou was raised on a dairy farm in New York State, received his sociology degree from Bucknell University in Lewisburg, Pennsylvania, in 1965 and obtained his Masters Degree in Sociology from the University of Wisconsin, Madison, Wisconsin, in 1967. 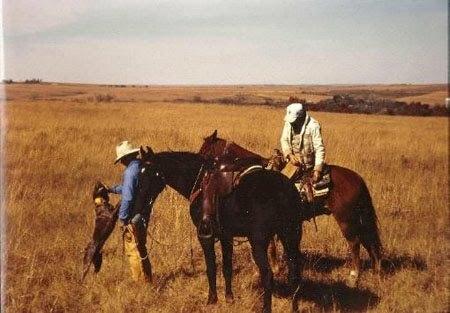 John obtained his first bird dog in 1963 and in 1973 established Uodibar Kennel & Stable in Cambridge, Wisconsin, which he relocated to Hondo, Texas, in 1979. Since 1973 John has devoted his efforts to breeding, training, hunting, and field trialing German Shorthaired Pointers. Since 1973 John has handled the winner of the NGSPA National Championship (American Field) on four occasions and gone runner up in this event on three different occasions. He has also handled dogs to the NGSPA National Shooting Dog Championship on five occasions and gone runner up in this event on one occasion. Over his career, dogs in John’s string have won 47 American Field one hour championships and claimed the runner up spot 37 times. In German Shorthaired Pointer Club of America (American Kennel Club) competition, John has finished over 80 AKC Field Champions, won five National Gun Dog Championships and gone runner up in this event on three occasions. He has won the AKC National All Breed Gun Dog Championship twice and gone runner up in this event on two occasions. Uodibar’s Boss Man, owned by John, is the number two all time leading sire of Shorthair field dogs. Uodibar’s Boss Man and National Field Champion Uodibar’s Koonas are both GSPCA Hall of Fame honorees. John has judged numerous field trials for several different pointing breeds, served as President for both the German Shorthaired Pointer Club of America and the National German Shorthaired Pointer Association, as well as served on the Board of Directors of the Bird Dog Foundation. John is the recipient of the NGSPA’s prestigious McGinnis Award, was awarded an Honorary Life Membership in the German Shorthaired Pointer Club of America, and was the 2005 recipient of the AKC Lifetime Achievement Award which honors those individuals who have made outstanding contributions to the sport of purebred dogs on a national level.